UltraCalming™ Cleanser: Water (Aqua), Cetearyl Alcohol, Bisabolol, Zingiber Officinale (Ginger) Root Extract, Leuconostoc/Radish Root Ferment Filtrate, Glycerin, Avena Sativa (Oat) Kernel Extract, Cucumis Sativus (Cucumber) Fruit Extract, Butylene Glycol, Pentylene Glycol, Hydroxyphenyl Propamidobenzoic Acid, Citrus Medica Limonum (Lemon) Fruit Extract, Fumaria Officinalis Flower/Leaf/Stem Extract, Fumaric Acid, Rubus Idaeus (Raspberry) Fruit Extract, Lavandula Angustifolia (Lavender) Flower Extract, Echinacea Purpurea Extract, Acrylates/C10-30 Alkyl Acrylate Crosspolymer, Cocamidopropyl PG-Dimonium Chloride Phosphate, Disodium Lauryl Sulfosuccinate, Cetyl Trimethyl Ammonium Chloride, Salix Alba Bark Extract, Usnea Barbata (Lichen) Extract, Glyceryl Caprylate, Tetrasodium EDTA, Panthenol, Aminomethyl Propanol. UltraCalming™ Mist: Water (Aqua), Butylene Glycol, Leuconostoc/Radish Root Ferment Filtrate, PPG-2 Isoceteth-20 Acetate, Avena Sativa (Oat) Kernel Extract, Boerhavia Diffusa Root Extract, Pentylene Glycol, Bisabolol, Zingiber Officinale (Ginger) Root Extract, Aloe Barbadensis Leaf Juice, Hydroxyphenyl Propamidobenzoic Acid, Glycerin. UltraCalming™ Barrier Repair: Cyclopentasiloxane, Dimethicone Crosspolymer, Dimethicone, Lauryl PEG-9 Polydimethylsiloxyethyl Dimethicone, Tocopheryl Acetate, Avena Sativa (Oat) Kernel Oil, Zingiber Officinale (Ginger) Root Extract, Oenothera Biennis (Evening Primrose) Oil, Butylene Glycol, Boerhavia Diffusa Root Extract, Bisabolol, Avena Sativa (Oat) Kernel Extract, Stearyl Glycyrrhetinate, Borago Officinalis Seed Oil, Hydroxyphenyl Propamidobenzoic Acid, Tocopherol, Tetrahexyldecyl Ascorbate, Ascorbyl Palmitate, Safflower Oil/Palm Oil Aminopropanediol Esters, Glycerin, Pentylene Glycol. UltraCalming™ Serum Concentrate: Water (Aqua), Glycerin, Butylene Glycol, Clyclomethicone, Dimethicone, Caprylic/Capric Triglyceride, Oenothera Biennis (Evening Primrose) Oil, Behenyl Alcohol, Leuconostoc/Radish Root Ferment Filtrate, Acetyl Tetrapeptide-15, Sodium Hyaluronate, Bisabolol, Zingiber Officinale (Ginger) Root Extract, Boerhavia Diffusa Root Extract, Avena Sativa (Oat) Kernel Extract, Portulaca Oleracea Extract, Ophiopogon Japonicas Root Extract, Phytosterols, Persea Gratissima (Avocado) Oil, Helianthus Annuus (Sunflower) Seed Extract, Coco-Glucoside, Pentylene Glycol, Hydroxyphenyl Propamidobenzoic Acid, Cetyl Ethylhexanoate, Decyl Glucoside, Salvia Officinalis (Sage) Oil, Polysorbate 60, Cetearyl Alcohol, Limonene, Linalool, Geraniol, Citral. Having been a devotee of a certain other skincare company I was always reluctant to try other things. I have Incredibly sensitive skin and once I discovered the previous product (after MUCH trial and error) I thought that I had found "the one". But, regardless of the fact that the previous product was the one that (until then) had caused the least amount of irritation, it nonetheless still caused immediate redness. I had resigned myself to the fact that I just had one of those skins that would never be happy with any product. 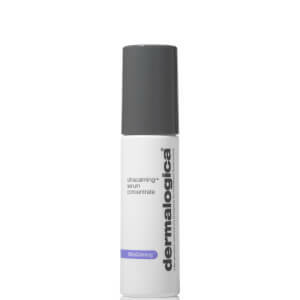 Until Dermalogica. This little kit was a wonderful opportunity to try several of their products at the same time to see what kind of response my ridiculously sensitive skin would have, it did not disappoint. The cleanser is wonderful, leaving my skin feeling fresh and clean without any irritation or redness, the calming mist feels light and cool, the moisturiser, whilst not being as moisturising as I would like, did not leave the telltale inflamed skin on my nose or chin. Unfortunately the Barrier Defense Boost didn't agree with me but that's the beauty of this little pack, a small sample of it was enough for me to know that it wasn't for me and I can still happily rate this kit as 5*! 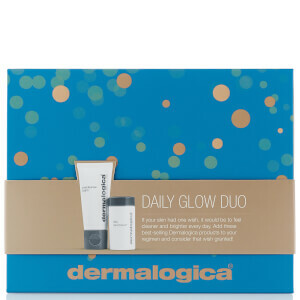 Looking forward to receiving my full sized products to continue on the dermalogica regime! I've been using this product daily for around 2 months now and am just about ready to restock in the larger sizes. I can really notice how plump and hydrated my skin is looking. My skin was very dry and sensitive. Before this product i never used anything on my skin but when i started to feel i looked old and tired at only 33 yrs old i decided to try this product. It is perfect for my skin, and i'm shocked at how much it has hydrated my skin, decreased the redness and has really made my skin look healthier and younger!!! I can see a physical difference now when i look in the mirror, my pores look smaller and my skin looks a lot fuller and less papery. Loved this skin care! Improved my skin a lot.